Our signature anti-ageing facial, The Mesoglow facial, is one of the most effective anti ageing facials available. It involves Microdermabrasion, transdermal mesotherapy and plenty of pampering. It's a treatment facial, not a basic facial. This is a unique treatment that you will not experience at any other salon! For best results 4 treatments are done weekly in the first month and then a maintenance treatment once a month is recommended. It is also great for clients who have had the full 3 D program and who want maintenance facials in between their 3 D maintenance treatments. If you feel that your skin requires more intensive treatments please schedule an appointment with the aesthetic doctor to determine which medical aesthetic treatment should be prescribed for you. Are Microdermabrasion treatments available at all Skin Renewal branches ? Microdermabrasion treatments are available in Johannesburg at Fourways, Parkhurst, Morningside, Bedfordview, West Rand and Illovo as well as in Pretoria at Brooklyn and Irene and in the Western Cape at Cape Quarter, Claremont, Constantia, Stellenbosch, Willowbridge, Paarl and KwaZulu-Natal at Durban & Umhlanga. Microdermabrasion is a quick, no downtime procedure that renews the skin by lifting dead cells off the skin’s surface by means of a gentle polishing with crystals. With a series of microdermabrasion procedures you can quickly achieve substantial improvement in the appearance of superficial lines and uneven pigmentation, while making your skin look and feel softer, smoother, and more radiant. Acne scars and enlarged pores may become less noticeable, and acne breakouts may be reduced. At Skin Renewal we use a Medical Microdermabrasion device which is able to perform a much stronger exfoliation that can treat and assist in improving the appearance of stretch marks and deeper wrinkles. 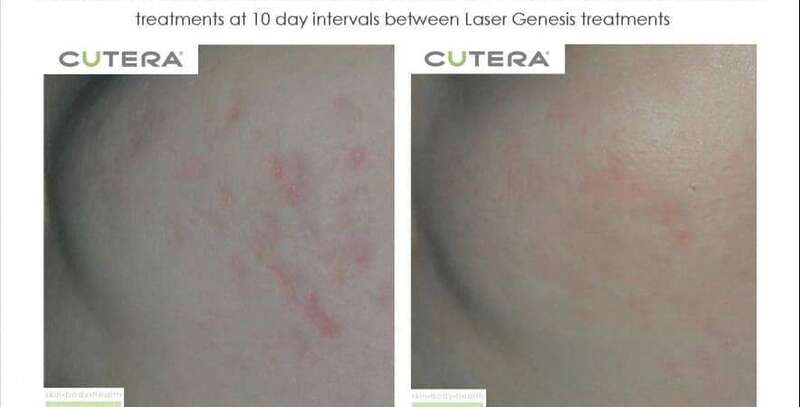 After your initial consultation, you will be given a topical pigment lightening product which must be applied daily for ten to fourteen days before the exfoliation process can begin. This down regulates the enzyme that produces melanin and will prevent the possibility of post inflammatory pigmentation PIH that can occur after any exfoliation or peeling procedure. 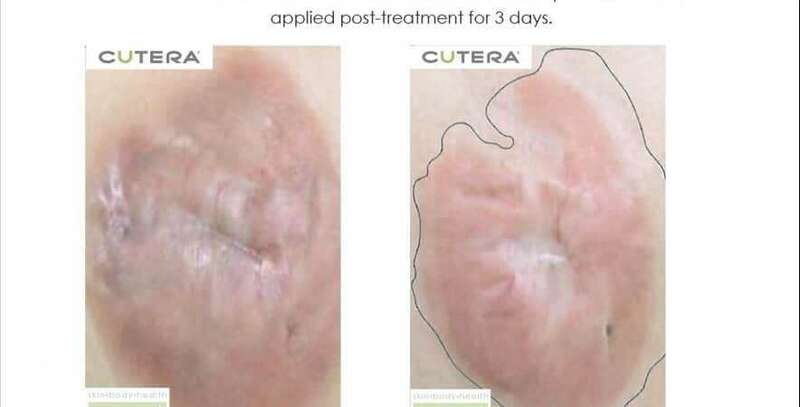 This dead layer can stress the skin, retarding its normal functioning, resulting in blockages and causing whiteheads, blackheads, rough texture and an uneven appearance of the skin tone. If one exfoliates with microdermabrasion regularly, new healthy skin cells are exposed to nutrients from the air, water and daily skin products. The need for invasive major facelifts will be much less because the current generation of “skin care aware” individuals 20- , 30- and 40 - year-olds have all the preventative tools available to them such as microdermabrasion and will not allow their faces to get to the stage that today's 50- and 60-year-olds have. Who would benefit from a microdermabrasion procedure? Mild exfoliation treatments like microdermabrasion are usually suitable for all skin types including those patients with acne or sensitive skin. Individuals who have sunspots, sun-damaged skin, dry, ageing skin, oily skin with enlarged pores and superficial acne scarring are also good candidates. After your initial consultation, you will be given a Brightening cream or topical product to help prepare the skin, which must be applied to the entire face daily for ten to 14 days before the peeling process can begin. This down regulates 6 enzyme pathways that produces melanin and will prevent the possibility of post inflammatory hyper-pigmentation (PIH) that can occur after any exfoliation procedure. What results can be expected after Microdermabrasion? What to expect after a microdermabrasion procedure. Usually the skin is normal immediately after a mild microdermabrasion procedure and makeup may be applied after your session. Microdermabrasion may be repeated at one to two week intervals for a series of 6 treatments until the desired clinical effect is achieved. Your skin usually feels tighter and smoother. You will care for your skin by using a mild non-abrasive cleanser or other mild products for three to five days, as well as protecting your new skin with adequate sunscreen of SPF 30 or higher with zinc oxide or titanium dioxide as an active ingredient. In addition, it is best to avoid prolonged sun exposure. Microdermabrasion can be performed alone or in combination with the numerous other treatments we offer at Skin Renewal. Microdermabrasion is part of our signature treatment 3 D Skin Rejuvenation™. For maximal benefit, 6-8 in-office professional microdermabrasion procedures every 2-4 weeks should be teamed with an anti ageing optional extra or laser treatments to create an environment in which the skin is continuously rejuvenated. At Skin Renewal we pride ourselves on visible results. As an aesthetic clinic we offer anti ageing treatments and problem specific additives as an addition to our microdermabrasion to ensure amazing results. If you feel that your skin requires more intensive treatments please schedule an appointment with the aesthetic doctor to determine which medical aesthetic treatment should be prescribed. Can all skin types be safely treated with a microdermabrasion? Yes, Microdermabrasion safely treats all skin types without significant pain or down-time. 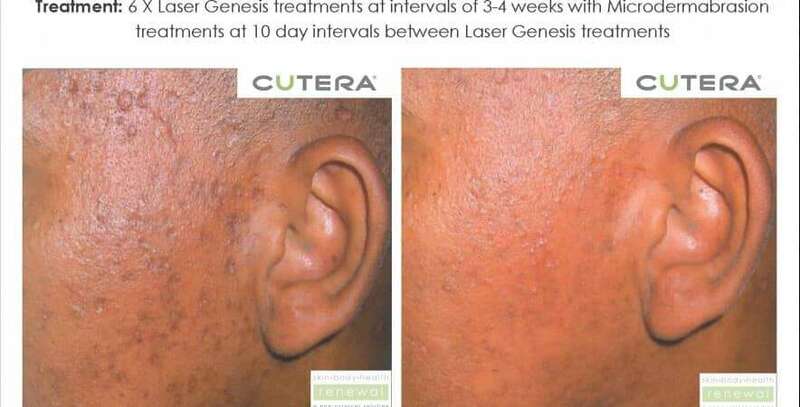 It can improve acne, stretch marks, pigmentation, texture, pores and surface irregularities in only 6 treatment sessions two to four weeks apart. If the area of concern is severe, more treatments may be necessary. Fantastic first-time experience! The therapist was warm, friendly and welcoming. Fantastic first time experience. Therapist was warm and friendly and welcoming! Review -"Excellent service and Products"
Very happy with my progress of my skin. Loving more radiant, clear and fresh. Excellent guidance from Marisa as she understands my skin. I had a microdermabrasion with Carmen. She is very professional and her treatments are always perfect. A big thank you to her. The treatment was awesome. My skin feels good and looks fresh and young. Lisa was amazing! lovely lady! Review -"Glow to the face!" Had a wonderful "first time"experience at Skin Renewal. Charmainewas exceptionally friendly and very helpful. Clearly explained each product used during treatment and the benefits which I thoroughly enjoyed. Review -"Excellent treatment and experience"
Review -"A Clinic I would highly recommend!" All my treatments with Chevaun were most enjoyable, The therapists were all very competant, friendly and discreet. Skin Renewal Constantia is a salon I would highly recommend. Thank you for all my wonderful experiences! Review -"So pleased with my treatment"
Review -"Kundige advies en professionele diens!" Excellent treatment, therapist always friendly and very experienced in all treatments and always provides me with honest/informed advice. Skin Renewal is very personal and provide a very welcome environment where I can relax and know that I am in excellent hands. I definitely do recommend Skin Renewal to all my friends and colleagues. Thank you for the great service and friendly faces. Review -"Enjoyable facials at Skin Renewal"
Review -"Professionalism that is unsurpassed!" level of professionalism is unsurpassed! Review -"Tender and caring therapist"
Idalia is a tender a caring person. Is patient when asked questions and ever willing to explain and clarify. Review -"Wonderful and professional treatment"
For my birthday present from Skin Renewal I chose the facial. I expected a quick, rushed procedure, (seeing that it's for free), but how wrong can one be! Helette Swart walked the extra mile - as she always does - and gave me a wonderful and professional treatment. Always such a nice experience to go to her and the clinic in Willowbridge. Review -"Excellent Job - the treatments were amazing"